Alex Epstein writes really-really short stories. Most don’t even take up half a page of his newly published quarter-page format book, Blue Has No South . This collection of his latest work was masterfully translated from Hebrew by Becka Mara McKay. As Epstein admits, short fiction is “not a common Israeli form,” but he has been working with the concept of “flash fiction” since his early prose attempts of the early 1990s. The shortness of the stories belies their depth. With titles like “Another Conversation with Death,” “The Last Dreams in the Garden of Eden,” “The Crippled Angel,” and “A Short and Sad Imaginary Guidebook for the Traveler to Prague,” Epstein’s stories are minimalist yet nuanced. When the end result is so short, every word matters, and Epstein plays with his words, coaxing multiple images out of a single phrase. The May 17 reading was part of the “Global Voices” series at the International House at the University of Chicago. Epstein, who was born in Leningrad in 1971 and immigrated to Israel at the age of 8, is an Israeli author. Yet his subjects are not stereotypically Israeli: no conflict or camels or desert in these stories. His is world literature, and he’s been praised as the heir to Baudelaire, Borges and Kafka. McKay, the translator, said she struggled to transfer some of the word plays and ultimately had to reach for an Italian word in one of the stories to accurately preserve the pun. 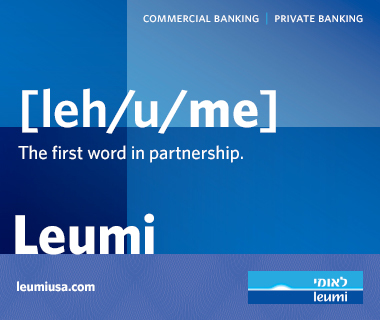 Hebrew’s limited variety of words places boundaries on the way an author can play with the language. The more widely endowed English vocabulary can add meanings even to really short fiction. “Becka understands the importance of every word in a very short story,” Epstein said. English also opened many doors for Epstein, he said. He has gained an entirely new audience by virtue of having his work translated. Moreover, translations to other languages stem from publishing in English. Epstein said that his work has been translated into Greek, Korean and Hungarian directly from the English incarnations rather than the Hebrew originals. McKay, who is also a published author, views the collaborative spirit of translation as its biggest benefit. 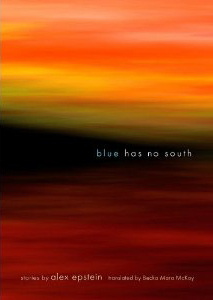 In addition to Blue Has No South, Epstein is the author of two other collections of short stories and three novels. He is the recipient of the 2003 Israel’s Prime Minister’s Prize for Literature and a 2007 participant in the International Writing Program at the University of Iowa. He currently serves as 2010 Schusterman Foundation Visiting Israeli Writer at the University of Denver. McKay’s translation of Suzane Adams’ Laundry was published in 2008. She is also the author of a book of poems, A Meteorologist in the Promised Land and currently teaches translation and creative writing at Florida Atlantic University.